Samuels Heritage B & B has a mini gym and infrared sauna for complimentary use to all our guests. Samuels Heritage B&B is ideally located near Waterford City Centre. We provide an excellent base from which to visit the many wonderful attractions that the South East coast of Ireland has to offer. Contact Samuels Heritage to book your accommodation in Waterford. 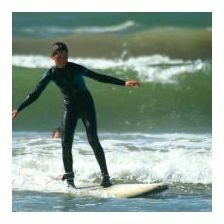 Oceanics is Ireland’s Premier Surf School located in Tramore , one of the best surfing locations in the country. Family run by Paul & Linda Tuohy for 2 decades.Oceanics caters for young and older both beginners and more advanced giving you the most amazing surfing experience. Medieval Museum, Bishops Palace, Christ Church Cathedral and Greyfriars ,all of which play an important part in Waterford’s 1100 year history. The new House of Waterford Crystal, comprises an actual living and breathing crystal factory tour, fascinating visitor centre and opulent retail store housing the largest collection of Waterford Crystal in the world. Take a guided factory tour, giving you first hand access to all areas of traditional crystal production. The cathedral has been at the heart of Waterford City since the 10Th Century when the Vikings built the first Church on the site. 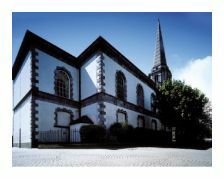 The restored and refurbished cathedral is a magnificent 18Th Century building designed by John Roberts. The building is steeped in the heritage and history of Waterford with medieval tombs, memorial wall plaques, and beautiful stucco plasterwork ceiling. A regular programme of concerts and recitals takes place at the cathedral throughout the year. 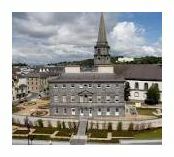 This museum charts the history of Waterford from 1700 to 1970. 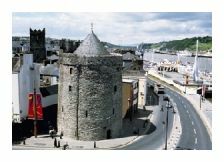 Waterford city boasts the finest collection of 18th century architecture with elegant silverware and fine glassmaking. It houses the oldest piece of Waterford Crystal in the world – a decanter made in the 1780’s. Round tower over 1000 years old.Oldest surviving building in the city and the oldest civic building in the country. Now a museum it houses artefacts dating back to the 10th century when the Vikings discovered the city. It is Ireland’s only purpose-built medieval museum incorporating 2 medieval chambers, 13th century Chorister’s Hall and the 15th century Mayor’s Wine Vaults. It contains Waterford’s cloth-of-gold 15th century vestments. Located just outside Waterford City in Kilmeaden, Mount Congreve Estate was built about 1760 by local architect John Roberts. The estate is famous for being the home of one of ‘the great gardens of the world’. It consist of about 30 hectares of intensively planted woodland garden and a nearly 2 hectare walled garden.